With Verizon, T-Mobile and AT&T already talking about 5G wireless service, at least one U.,S. carrier isn't jumping on board the 5G train without looking both ways. Jay Bluhm, Sprint's VP of network planning, says that the nation's fourth largest carrier is evaluating 5G. "We're looking at it," the executive says. He adds that there is still plenty of capacity in Sprint's current network configuration to cover the needs of users. Sprint says that it has enough capacity at the moment despite carrying an increase in traffic of 85% year over year. By 2020, Sprint will be carrying three times the amount of data that it currently is routing through its pipelines. Half of that traffic is video, according to Bluhm. To meet demand, Sprint is using some LTE-Advanced optimization techniques like carrier aggregation and beamforming. With the former, multiple spectrum channels are put together to increase the capacity of the pipeline. With the latter, signals from multiple antennas are directed toward the location where Sprint customers are. Verizon has been testing 5G in Euless, Texas, along with Samsung, at 28GHz. T-Mobile plans on testing 5G at 28GHz and 38GHz, and AT&T is working on the technology along with Intel and Ericsson. Interestingly, Sprint is also alone among the four major U.S. carriers when it comes to sitting out this year's FCC auction of 600MHz spectrum. The low-frequency airwaves travel farther and penetrate buildings better. 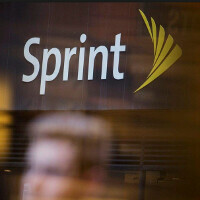 Sprint says that it already has enough spectrum at the moment. Is it possible that by waving off 5G and failing to take part in the auction, Sprint is digging itself a hole from which it will eventually find it difficult to emerge? First they fall behind the curve by banking on the wrong technology. Now they want to fall behind by not even trying? Oh yeah, let's rush into 5G where it hasn't been finalized yet and put down on paper as to what will be used as. And as for 600 MHz, won't be able to use the 90 MHz of spectrum divided by how many carriers but into it until 2020. What a waste of resources that is. They still have work to do on 3G. And let's not even discuss WiMAX. Keep trying, Sprintsee! no wonder they dropped down on number 4 carrier, when all moving up.. I remember how useless 3G was for me with them. Then, when I got an iPhone 5 and LTE, I was able to stream video without major issues until their network got clogged a year later. Not sure what their performance is 18 months after I have left them for G-Mobile, but the latter really performs admirably in my area. No need to shop around for another carrier atm. I look at 5G more of a bandwith extension than a speed bump. I do not need better speeds, but surely all carriers will need to prevent for their bandwiths to become a bottle neck. I remember my photon days on sprint..... The absolute worst! LOL. Sprint not rushing into consistant decent 4G. Probably smart move on their part, since they ran head first into 4G with Wimax before LTE was ready for market, and it was a costly endeavor that did not pan out. Also the resulting network upgrades were very painful and lead to a lot of churn. This time they will play it smart, wait for it to mature a bit before they work on theres. hahah oh Sprint. "not rushing into 5G". that's like saying you're going to build a house, when you've never successfully built a shed. sad.